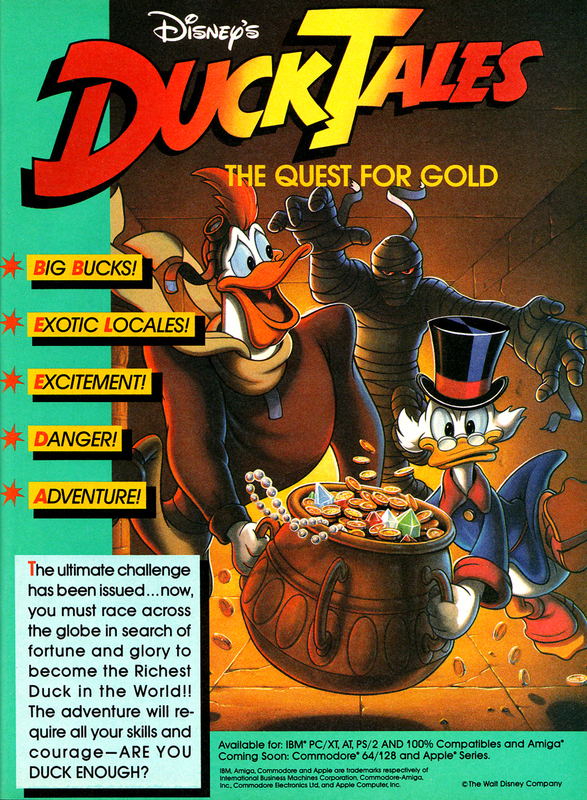 Discovery Software was a Maryland-based computer game publisher that released a few games in the late '80s. Not a lot of information out there on this company but the Amiga games website Hall of Light says that Discovery Software was founded in 1985 and published five games so I'll go with that. Best known for amusement parks and movies, Disney is one of the most famous companies in the world. 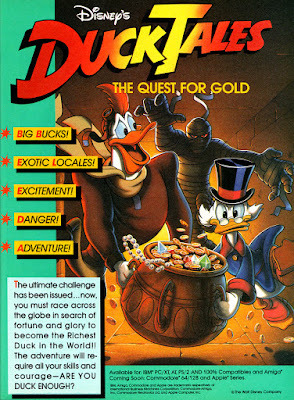 The earliest games based on Disney properties were published by Sierra On-Line beginning in 1984. Making sense of all of the Disney brands isn't easy but I think it first published its own games in 1988 under the Walt Disney Computer Software name. I've chosen to group what few ads I have together but Disney has published and developed games under numerous names: Walt Disney Computer Software, Disney Software, Disney Interactive, Disney Interactive Studios, Disney Imagineering, Disney Mobile Studios, Buena Vista Software, Buena Vista Interactive, and Buena Vista Home Entertainment. It also took over ABC Interactive in 1996 and LucasArts in 2012. It's possible I missed a few but I think you get the point, it changed its names often and have had numerous divisions operating at the same time. Over the past five years Disney has been licensing out most of its properties. Surprisingly, it didn't even make a home release based on Frozen, instead allowing GameMill Entertainment to publish a Nintendo DS and 3DS Frozen game. GameMill is small and isn't known for high quality games but it also is the only company to publish a retail game based on Disney's Big Hero 6. Disney did try its hand at a series of games with interactive toys beginning in 2013 with the release of Disney Infinity. What seemed like a match made in heaven somehow failed as Disney canceled the series in 2017 and that appears to have marked the end of Disney publishing its own retail game products. Disney does still publish mobile games and has even used the LucasArts/Lucasfilm brand as a publishing label despite closing the game company in 2013. Outside of mobile games the Star Wars brand is being handled by Electronic Arts which has big budget Star Wars games in development at D.I.C.E., Visceral Games, and Respawn Entertainment. Doc's, also known as Doc's Hi-Tech, is an accessory maker that released many products for the 8-bit and 16-bit consoles. It made game controllers up until at least the N64 but is best known for its cleaning kits, hence the name Doc's (a game doctor that can fix your minor system problems). The company may actually still be in business as it's owned by New York-based Arista Interactive, though I haven't seen any of its products in quite some time.